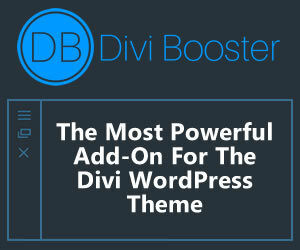 When Divi first came out, I was immediately disappointed that I could not use the portfolio modules for posts. I finally received a request for a tweak to fix this and decided it would be worth the time. After performing this tweak, you will be able to use every portfolio module in the page builder with posts instead of projects. I was really excited about how well it turned out. Now comes the fine print. There was so much involved in this tweak I decided instead of showing you what to change and where, I am going to instead provide the entire files that you will be downloading and replacing. These files are exact copies of the same files you'll find in Divi, with changes made to the portfolio modules allowing posts to be used instead of projects. I highly recommend you make backups of your current files in case something goes wrong. I have tested these files on live websites and they work great. Here we go. To see a live example of this tweak, check out my and my wife's personal blog. I currently have the portfolio carousel loading posts. Here's a screenshot of the filterable portfolio loading posts and using post categories to filter. One last catch. Uploading the two files below will remove the ability to use the portfolio modules with projects. You can not use posts in addition to projects, but rather in place of. All portfolio modules in the page builder will only work with posts, not projects. These files correspond with Divi 2.1.2. If you have a version other than 2.1.2, PROCEED WITH CAUTION!!! I have not tested it on any other version. At the very least, make a backup of the originals before you replace them with the files below. Hello everyone. This tweak is by far the most complicated of any of my tweaks. Due to the nature of having to replace files to get this to work, it is becoming a chore trying to keep up with the Divi updates. Now that Divi 2.4 is out and after looking at the code, it no longer makes sense to continue supporting this tweak in its current form. The good news is that I plan to convert this tweak into a plugin. It just makes more sense to create something that will not break with every Divi update. My time is limited but I hope to have this finished soon. Thank you for all of the kind words and support and stay tuned for the plugin! Be sure to sign up for the newsletter for updates on the plugin. The beta version of the plugin is finished and can be downloaded here: http://www.diviplugins.com/plugins/portfolio-layout-posts/. Keep in mind that it does NOT currently work with Filterable Layouts AND does not work like the original tweak. It uses shortcodes. I'm hoping to change both of those in a future release. Documentation and Demo can be found at the bottom of the download page. Thanks and please give feedback if you run into any issues! I have updated (and will continue to update) this tweak to work with the latest releases of Divi. 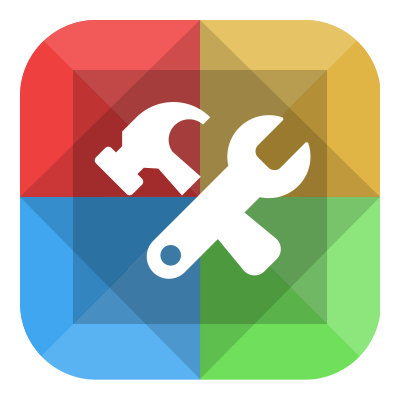 Please download the version that corresponds to the version of Divi you have installed. 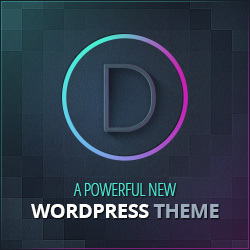 Download the functions.php file and upload it to your /themes/Divi/ folder, replacing the current functions.php file. Download the et-pagebuilder.php file and upload it to your /themes/Divi/et-pagebuilder/ folder, replacing the current et-pagebuilder.php file. That's it. The easiest method would be to use FTP or Cpanel. If these are not options, you can also use the built-in editor in the WordPress Dashboard. You'll just have to open the downloaded files in a text editor and copy and paste. Again, PLEASE BACK UP THESE TWO FILES BEFORE YOU REPLACE THEM OR MAKE ANY CHANGES. I am not responsible if your website breaks. If you follow the directions, download the correct files that corresponds to your version of Divi, and have not customized these two files in any way, you should be fine. Enjoy! Can you please provide the link to the modified files? Thanks. Sorry. Not sure what happened but the files seemed to have got up and walked away on their own. I’ve re-uploaded and they are now available. Hey there! Am I going crazy? Because I can’t find the file to download… this looks like a GREAT tweak, and I am excited to try it. Am I just blind? Awesome! Thanks for uploading them! I am trying it out right now, but I am having a small issue with it. It no longer displays my projects (which is great) but is still not displaying my posts. When I go into my “Filterable Portfolio Module Settings” on the site builder, it is only allowing me to use categories from my projects, and not posts. Thoughts on how to fix it? Just kidding. I am dumb, got it! YOU ARE THE MAN! Thanks Tobin. Glad you found it useful! I’ve been trying SO hard to do this whole child theme thing and I’m really struggling to know what to do when I find info like this. How would I use this replacement information in a child theme the proper way? I’ve tried just uploading them into the child theme folder which didn’t work at all. Even tried making it a ET-pagebuilder folder to put that file in and that didn’t work at all. I’d love to not be messing with the core files if possible. After deciding to just bite the bullet and apply these to the core files it actually did not work for me. I even reuploaded and it did not work. The page builder is not accessible at all on pages. Bummed, really need this functionality! Silly that it is not natively working this way. I am on the newest version of Divi also….I’m sure that is the issue. But doesn’t help me much. Can you post the code excerpts please so we can try to figure out what is different? Hi Dani. Sorry you are having issues with this. I am looking into how to get this to work on Divi 2.2. No guarantees but hopefully I can figure it out based on what they’ve changed. Stay tuned. Thanks. Hi again Dani. I have updated the tweak to work with Divi 2.2. Make sure you download the second version of each file above. I have just tested the changes and everything works. Unfortunately this will not work with a child theme. I’m sure there is someone out there smarter than me who could figure it out. I’m just not that person 🙂 I’m looking into making my tweaks available as a plugin in the future so hopefully I can get that going soon. Hope this is not too late for you and I apologize for the late response. any ideas why it doesn’t work with the child theme…editing the core files is a no-no for me as will just break everything come update time!! I haven’t tried this yet, but it seems very weird that it wouldn’t work in a Child Theme. The way a Child Theme is supposed to work is that WordPress reads any files there first, so if you copied (for example) the entire footer.php file into your Child Theme folder and made “tweaks” to footer copyright, etc. it would work and be safe from Parent Theme (Divi) updates. Why wouldn’t the same apply to the functions.php and et-pagebuilder.php files? I have, in fact, put the functions.php file in my Child Theme before, but not the et-pagebuilder.php file so I wonder what’s up with et-pagebuilder? The functions.php file in WordPress does not work like other files in a child theme. Instead of replacing the parent theme’s function.php file, it works as an “in addition to” file. If you simply copied the file or specific function, the child theme function would load first but then the parent theme function would also try to load. You would get a “cannot redeclare function” fatal error. I am committed to updating my files as new versions of Divi are released, but I also understand that you would not want to edit the Divi core files. I personally love this tweak and usually don’t update the theme anyway unless there is a great new feature or security patch. Thank you so much for this – Its just what i was looking for. I notice that the sidebar shows when i use page builder posts and turning off side navigation in the post ET settings dropdown doesnt solve it. Am i missing something or is this something that can be fixed – turning off the sidebar when viewing certain posts. When using page builder, turning the sidebar off/on in ET settings will have no effect. That is all controlled from within the page builder. Just remove the sidebar module and it should disappear. Jackie Adelia WrayJanuary 2, 2012 Had my v2 cigs for about 8 months now and Iâ€™ve now had 3 real cigarettes in as many months. Their spare parts are actually affordable, as when I was researching I found that some companies tried to catch you out and over charge for these. You need a spare battery with you at all times so youâ€™re not tempted to buy a pack of smokes! Love them! / Thanks for weighing in Jim. I find your comment quite interesting, and I think we had all misinterpreted the idea of the sandbox. Reading your words on the consultant helping to configure the environment, I understand your concept to be that the future sales process is significantly more collaborative, which is a point absent in our original reading.Actually, any increase in collaboration in sales would be a good thing. I think we could further argue about how it should be implemented, but this idea might be a pretty good start. I’ve updated the files to work with Divi 2.3.2, please update to that version of Divi and download the 2.3.2 files above. Hey Brad, are you sure that the 2.3.2 version working? 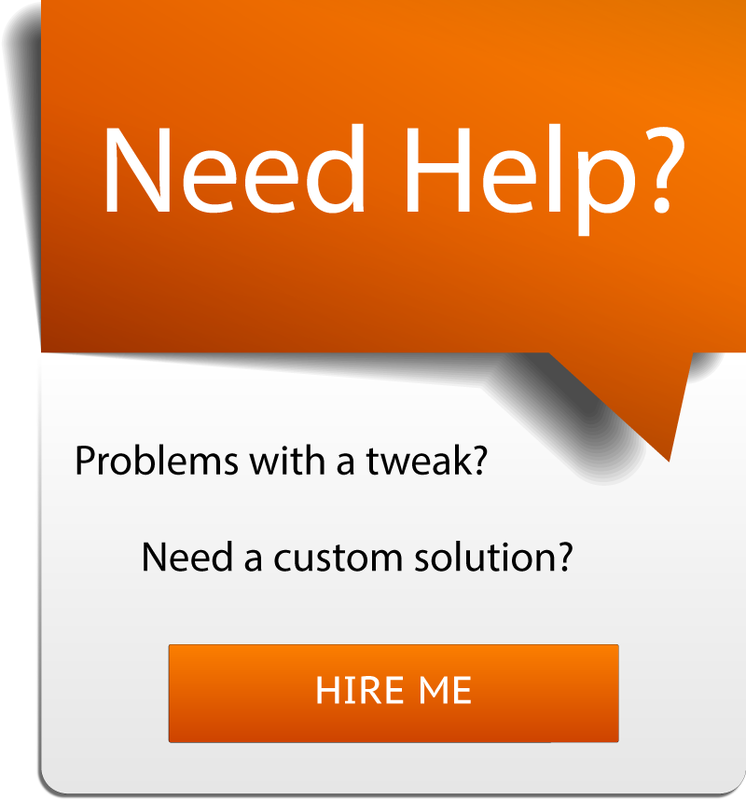 I lost the tweak here at my website : http://www.toyayatra.com after I made upgrade with your customization files. So now I use your 2.3 version along with Divi 2.3.2. I noticed that the images are missing in Portfolio Module, but not in Filterable Portfolio Module when using your 2.3.2 customization files. I hope I’m wrong but it would a great help if you can enlight me. Thanks, Man. You’ve done a great job so far. I’ve used your customization since the first version. I am also on Divi 2.3.1 and used your 2.3.2 update. Any thoughts would be greatly appreciated. Thanks again. I tried using the functions.php in a child, but there were so many functions that are not pluggable that I resorted to updating the Divi 2.3.2 core files. Still get the problem. I have no project categories because I am trying this so that I can use post categories. Me too! Can’t wait for it! Thank you so much for doing this! You should submit it to elegant themes – it seems that everyone wants this functionality but they aren’t giving it, grr. So thank you for making it possible! How can I display excerpts of posts? Wish i had seen your post before updating to divi 2.4. Hope a 2.4 compatible code is in the making? Thanks Brad. We patiently await the coming of the plugin. I just got a mail wrt the posts in portfolio as a plugin. Thanks for the great work. Will try it out. Hello everyone. The beta version of the plugin is finished and can be downloaded here: http://www.diviplugins.com/plugins/portfolio-layout-posts/. Keep in mind that it does NOT currently work with Filterable Layouts AND does not work like the tweak above. It uses shortcodes. I’m hoping to change both of those in a future release. Documentation and Demo can be found at the bottom of the download page. Thanks and please give feedback if you run into any issues! When do you think you can include Filtered Portfolio? Hoping to tackle this over the next week. Will update as soon as finished. Thanks. Ok, please let us know as it is exactly what we need and we are just populating our new website. I would love to work only with regular posts as I don’t see any reason why they created Projects. I need my blogs to displays all posts and I need the filterable portfolio on posts. Brad, great plugin. 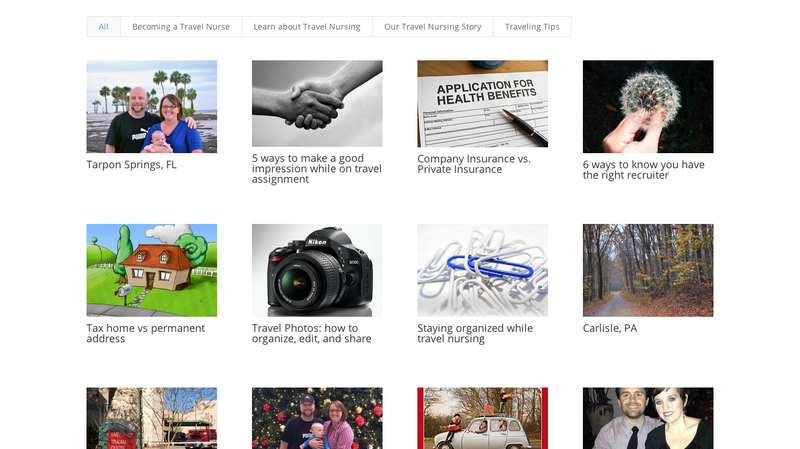 Do you have an update on adding the filterable portfolio for posts? Thanks! Very close! Sorry for the delay. Got hammered at work and then came down with the flu. I have filterable posts working, just need to get pagination working properly. I’ll update as soon as it’s ready. Thanks! Great to hear! I’ll be praying for your continued health and a clear head with which to work! You just saved us hours of development. I bought the pro version and designed a Filterable blog. My Blog post belongs to both the cat and the subcat. In the FP Blog, I select only COMICS, but BOOKS appears too? Thank you for bringing that to my attention Alain. Apparently WP automatically pulls sub categories in the loop. I haven’t dug into a solution yet but offhand I’m thinking the easiest,most efficient way would be to give an option to not include any subcategories. Would that work for your needs or would you want more granular control? Including or excluding each subcategory individually? The plugin does not support WPML and it doesnt work with the Russian language side of the website i am building. Is there a way to fix this? URGENT PLEASE!!! Hi, good call making it as a plugin! I’m wondering if you would ever make it work for pages too/instead? Hi Brad, I have version 1.9 of Divi (I know, pretty old) will your manual tweak work with this version, or will it be worthwhile to upgrade? I really want a portfolio for my posts and had begun to move posts over to projects but it takes SO LONG. I also noticed projects don’t show up in the blog feed which is a bit of an issue. Many thanks in advance!